This north-facing lower-ground-floor Victorian flat was targeted for refurbishment and extension to turn it into a family home. The brief was to add an additional bedroom, maximize daylight, and enhance the existing connection to the garden. Our solution featured a glass box extension to the rear, cleverly creating the extra space required and bringing more light into the gloomy interior. 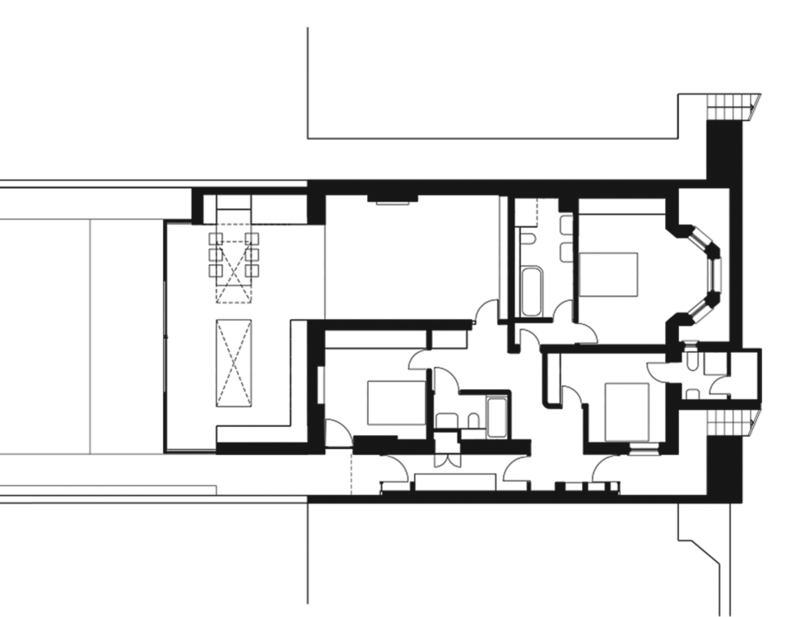 The 172 m2 layout was reconfigured to focus on spaces for cooking and eating. Mirrored walls and stainless steel in the kitchen create a spacious, light, joyous feel, helping to break down the barrier between inside and out. Crisply detailed sliding doors to the rear offer expansive views, making it a relaxing space to sit, cook and dine. The client admired our beautifully executed simple ideas, describing the transformation as ‘simply stunning’. The extension creates a connection to the garden. Internally, the kitchen island, dining table and cooker hood with well-placed mirrors create a linear separation between inside and outside, a series of thresholds both visually and functionally. A bespoke dining table and kitchen island allow users to view the garden while entertaining. Well-placed mirrors also blur the separation between interior and exterior. 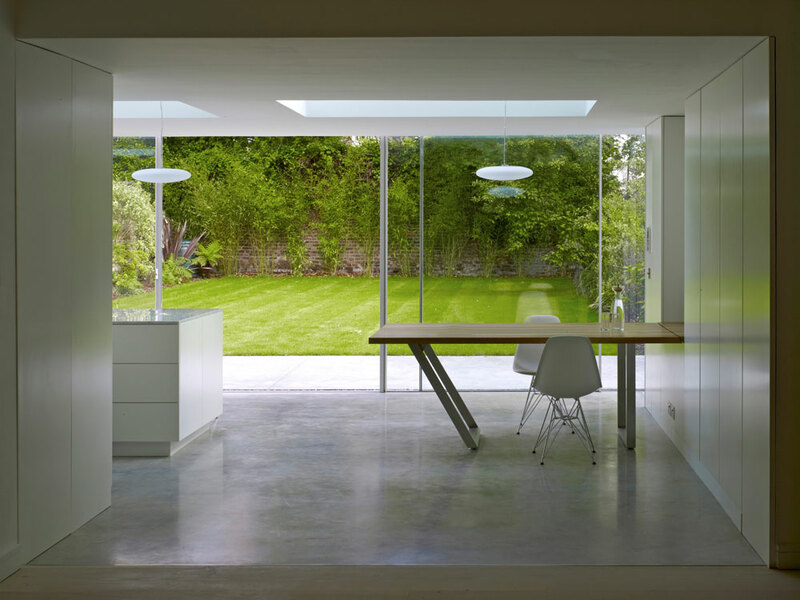 The custom table is designed to create a direction to the new extension as it completes the linear composition with the kitchen-island and adjacent mirror.